On inquiry via a fellow historian with the U.S. State Department Archives, the in-charge of their Textual Records Division in Washington DC clarified that U.S. diplomat Reiner, who was then posted as a “disbursing officer”, had no official authority to even send a telegram from the U.S. Embassy in New Delhi, and that declassified correspondence of this has long been available in the U.S. National Archives. Nonetheless based on these claims of a still-classified document in the U.S.A., the Supreme Court of India last week admitted Dr Phadnis’s petition and appointed an Amicus Curae (“friend of the court”) Amarendra Sharan to investigate his claims, for which the next hearing is scheduled on 30 October. Conspiracy theories and allegations of cover-ups are part of the folklore which dog the deaths of major political leaders all over the world, whether they were assassinated in broad daylight or died in mysterious circumstances. Most famously in India, the death of “Netaji” Subhash Chandra Bose in a plane crash in Taiwan days after Japan’s surrender in WWII spawned a cottage industry of conspiracy theorists and pseudo-historians well known to the Delhi and Kolkata media. In the U.S., Oliver Stone’s 1991 sleeper hit film JFK on the plot to assassinate President John F. Kennedy re-ignited theories about a “second gunman” and wider cover-up which could only be answered by further disclosures. In executive orders signed by Presidents Clinton in 1995 and extended by his successor President Bush in 2006, almost all U.S. Government documents and archives over twenty five years old today stand “automatically declassified” including classified diplomatic and intelligence cables such as those cited by Dr Phadnis. India would do well to frame its own law on declassification of state archives and public documents within a stipulated time-frame, not selectively or politically, such as when the Centre and West Bengal Governments released online a batch of files in 2015 related to the Bose’s death from the PMO and WB State Archives. Selective declassification such as this is a contradiction in terms, since one cannot know in advance whether or where files even exist on any topic without some clue. In the U.S.A. time-limited automatic declassification has resulted in the release of hundreds of millions of pages of materials, an yearly gold-mine for historians, journalists and citizens researching everything from covert military operations to outer-space alien abductions, enriching a public conversation. By contrast, and with some notable exceptions, most archives in India are in appalling disrepair, with millions of files from the colonial and contemporary periods either classified, un-indexed, in storage, or simply not locatable. 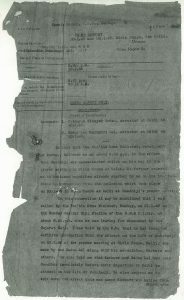 The testimonies and other sources from which the Kapur Commission report was compiled in 1969 have never been released, nor have Intelligence Bureau (IB) reports cited by Justice Kapur of meetings of the murder conspirators in Gwalior and Alwar, let alone the massive archives of the Delhi, Pune and Mumbai Police CIDs, which tracked and investigated the nine convicted conspirators in the Mahatma’s assassination. Professional historians and archivists in India have for decades been accustomed to such demoralising conditions deep inside state archives, which remained unchanged until the Right to Information (RTI) Act was legislated in 2005, India’s equivalent to the Freedom of Information Act (FOIA) enacted by the U.S. Congress in the U.S. in 1967 (and through which Dr Phadnis says he “officially obtained” the evidence annexed to his PIL). Through the millions of requests filed daily by journalists, activists and citizens in municipal, state and national records rooms via RTI, the halo of official secrecy inherited from our colonial masters is now being challenged. But even as RTI is slowly transforming citizens’ access to previously secret or inaccessible documents and files, and the widespread use of smartphones has further aided citizens to discover, share and publish their sources, the web and omnipresent connectivity has amplified pseudo-histories, conspiracy theories, and other straightforward lies in public discourse. Intellectuals on both the Right and Left increasingly deploy history as an ideological weapon in discursive warfare in which truth and facts are collateral damage. 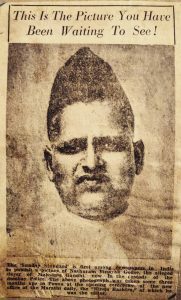 Demonising Savarkar by citing his alleged pro-British and therefore unpatriotic views – as some Left-liberal journalists and historians have done recently – is ideological posturing around caricatured icons, whether “Mahatma”, “Veer”, “Netaji” or “Babasaheb”. A similar argument was the basis of Arun Shourie’s 1997 book Worshipping False Gods, which venomously attacked Dr B.R. Ambedkar for his loyalty to the British against the Congress and Gandhi, as Ambedkar not only didn’t court arrest but served as Labour Minister in the Viceroy’s wartime cabinet. 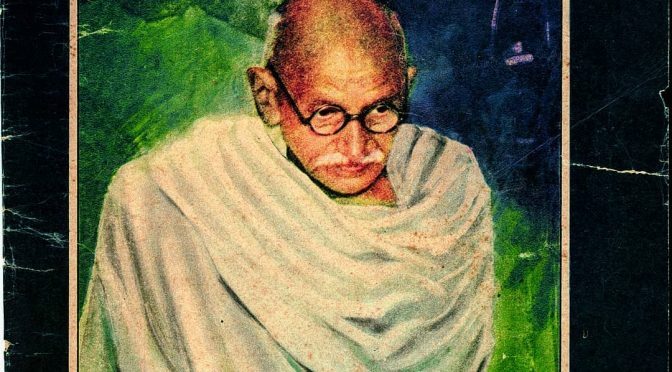 Simplifying India’s freedom struggle into a litmus test of who swore loyalty to the British is ludicrous when everyone from Gandhi and Nehru, to Ambedkar and Savarkar to Mohammed Ali-Jinnah worked closely with the colonial state at different points in their careers. Using history as ideology is fraught with contradictions. 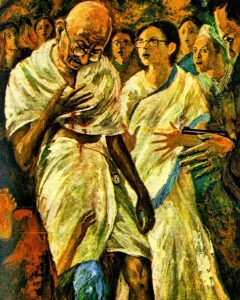 “Sardar” Vallabhai Patel as Home Minister gave the orders to arrest Savarkar after Gandhi’s murder under the colonial-era Preventive Detention Act, a repressive legislation widely used against nationalists and indeed Patel himself. The RSS and Hindu Mahasabha (which stayed out of jail during the Quit India campaign) were immediately banned by Patel, who was completely convinced of Savarkar’s culpability in the conspiracy. Seventy years later Modi and the Sangh Parivar now seek to install both the “Sardar” who jailed the “Veer” in the same ideological pantheon. Conspiracy theories flourish in a vaccum of information, and history becomes ideology when facts become fiction and individuals icons. With the aging of the generation for whom Independence, Partition and its aftermath remain within living memories and oral history, the declassification and rejuvenation of state archives and repositories grows more urgent every day, as future generations seek out fresh sources to retell old stories and keep experimenting in our post-truth era.